Using Rich Snippets by Google can turn into a useful tactic for maximizing the visibility of your product and enhancing your click-through rates (CTR). This will help in fetching more revenue as well This tactic is not only effective but also quick and easy to implement. Let us discuss a few essential Rich Snippets for your online business and you can implement them. Before we go into further details, we should know what are Rich Snippets? They are a group of structured data which help website owners to add extra details about their website and its content. It helps the search engines to better understand, interpret and display the most relevant data. In other words its a common “language” for website owners to describe their websites, which in return helps the search engines to find out the most potential result. Your first and foremost concern must be ensuring that search engines understand they are looking at a product page. This will ensure that your product is in a better position to impress the right searcher, at the right time with the most relevant information in the search engine results. 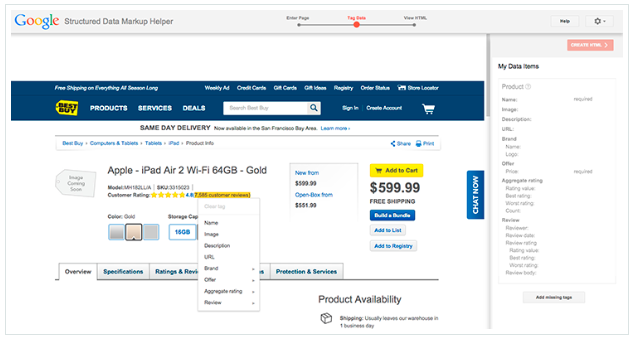 In the example above, you can see that the additional information clearly indicates that the search result is representing a product for sale. Apart from that, it shows various important features of the website relevant to interested buyers. Third party testimonials are one of the best ways to sell a product online. 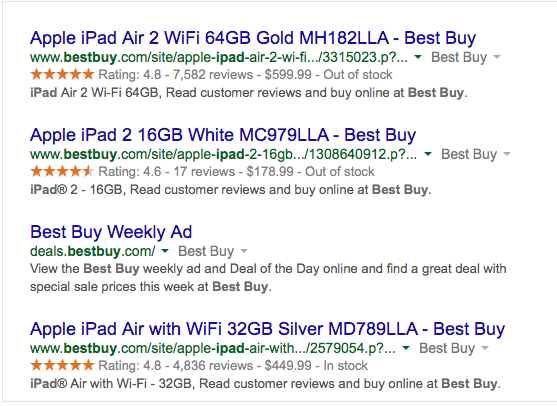 Ratings and reviews from actual customers are significantly more effective than the most compelling ad copy. You can see that Hard Rock Cafe utilizes its high rating points to assure its customers that they not only provide quality services but are also a trustworthy enterprise. Ratings and reviews help a lot in the establishment of credibility and trust for a business. Whenever some is looking for a product online, they would definitely want to know how much the product is going to cost them. This factor becomes more vital due to the fact that the product is sold in multiple locations with different pricing. Flipkart has done a wonderful job by highlighting its pricing so that customers don’t have to hunt for searching other pricing options. But are many instances when keep on searching for a perfect product only to find out that they are presently out of stock. Online shopping tackles this problem to a great extent. They are able to cater to the information about the product’s availability instantly. This feature has been available only after the introduction of rich snippets that availability of products can be seen in the search results page itself. There are a numerous number of Rich Snippets by Google Adwords which have the potential to grab the attention of shoppers and improve the performance of your text ads. One of the best approach to implement Rich Snippets is with the use of product properties given by schema.org in order to markup each product. This can be done with the help of developers. 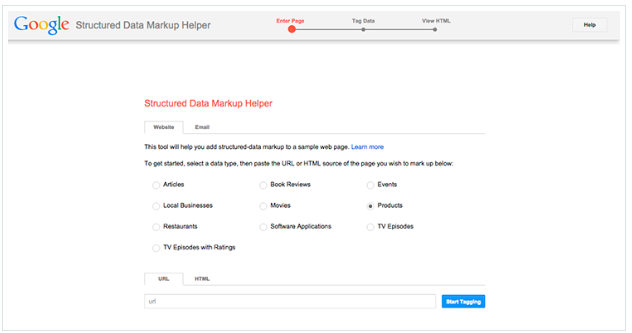 Then the Markup Helper will pull up a visual representation of your page. After highlighting the specific element, you will now be able to tag and assign a value to it. 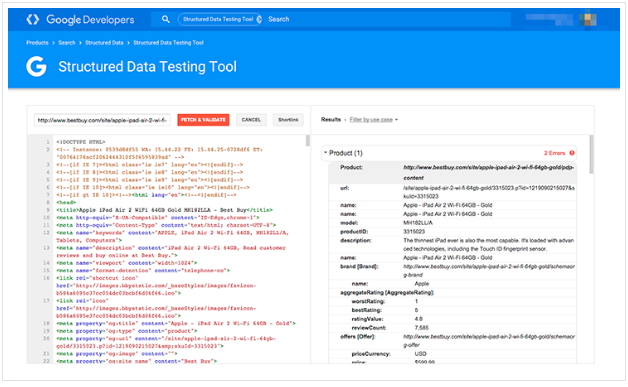 You can now see how your data items are going to stack up. This will also help you to identify which elements you might be missing out so that you can include them before you finish tagging. Once you are done with tagging and are satisfied with its look, you can now explore the HTML source code with the newly created markup. Now the time is to double check everything. 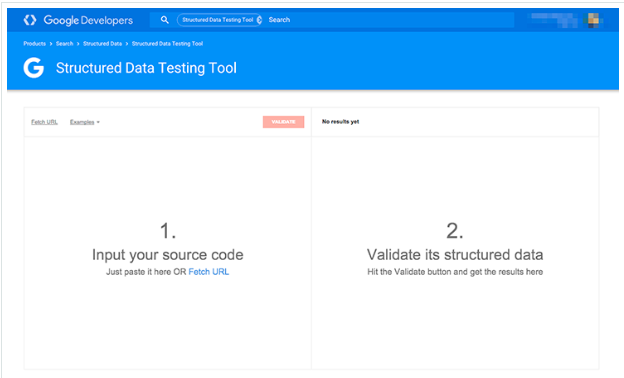 This can be done with Google’s Structured Data Testing Tools. 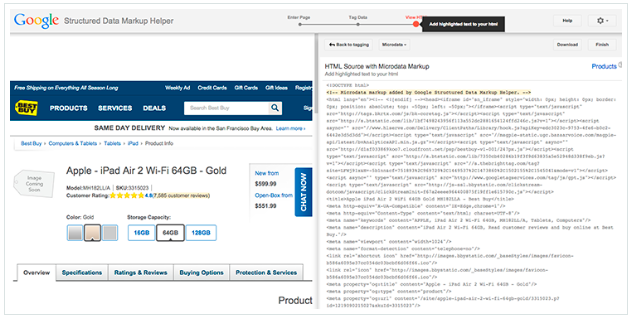 The results show you that what elements are assigned to the product you are viewing now. You can now double check this for accuracy. Rich Snippets make it easier for you to translate your website’s information for search engines. This will help the search engines to a better job while presenting the data to potential customers. One of the best ways to grab your customer’s attention from other product listings and building trust is my making your product listings stand out in the results along with relevant images, pricing, and their availability.